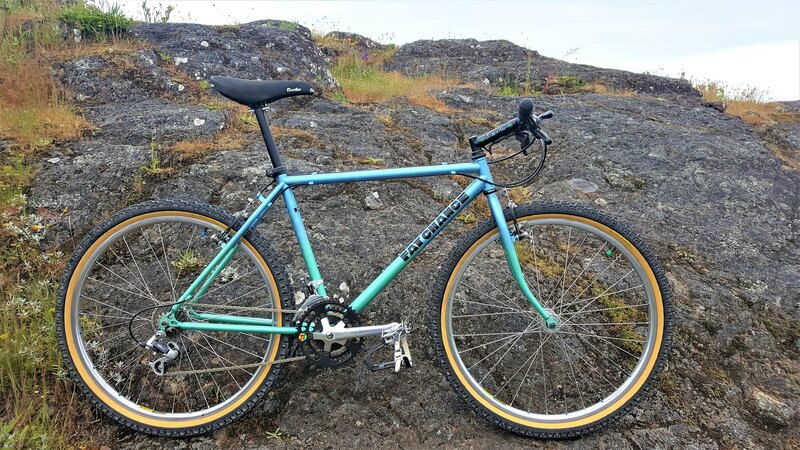 1989 Fat Chance Team Comp 18"
What´s the geometry numbers on this bike if you don´t mind me asking.. Is it the same geo of the wicked? Would love to ride a wicked and a team comp on the same trail and reach a conclusion. colker the 1989 TC had 71/72 head and seat angles, with 17.125" chainstays, just like the Wicked, the obvious difference being the tubesets used for each model. Okay so I just bought this off Laurent from Luxemborg! Looking forward to restoring her with an Igleheart fork and a new coat of Team Violet. If anyone knows anything about this frame, please let me know! Looks nice, what color are you going to paint it? Ah excellent, great to know. Hi, I'm new here, but not in bikes? Can someone tell me, what does the Z means in this fat ti frame #? Last edited by bmxtieboys; May 9th, 2018 at 7:39 AM.